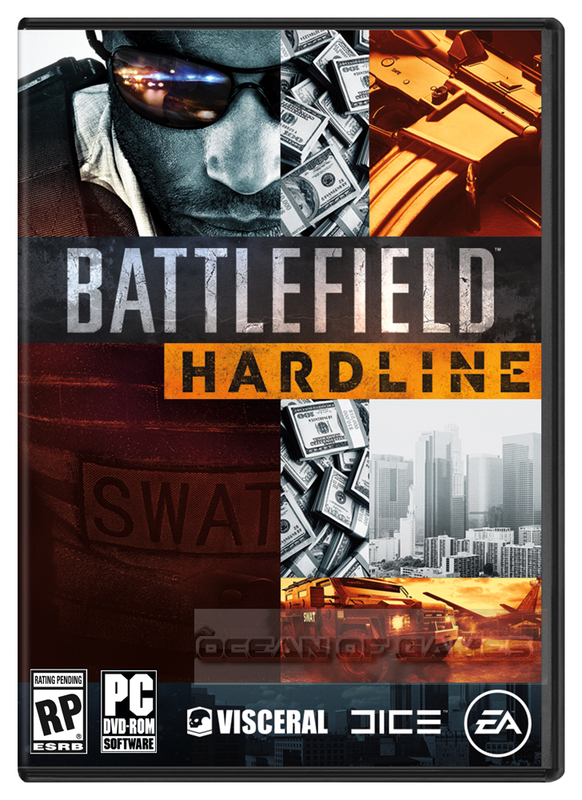 Battlefield Hardline is developed by VisceralGames and is published by Electronic Arts . The release date of this game is 17 th March 2015. Battlefield is a world renowned game series which has mesmirized the player right from there debut game Battlefield 1942 in the year 2002. This game has been set in Miami. Where there is a drug war going on. the main character of the game Nick Mendoza alongside a fellow detective is all set to scratch out every details about the drug supply. They follow the chain from streets to the main source. You can also download Battlefield 4 . 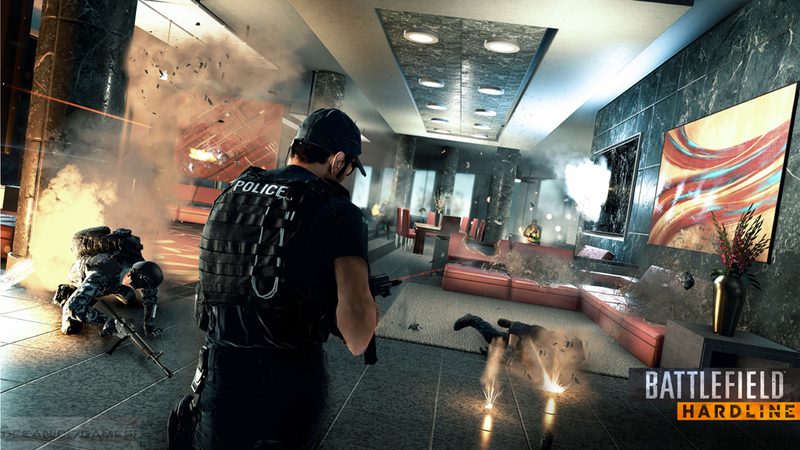 The gameplay of Battlefield Hardline is entirely different from its predecessors. The main theme has been shifted from military to the police and war on crime. 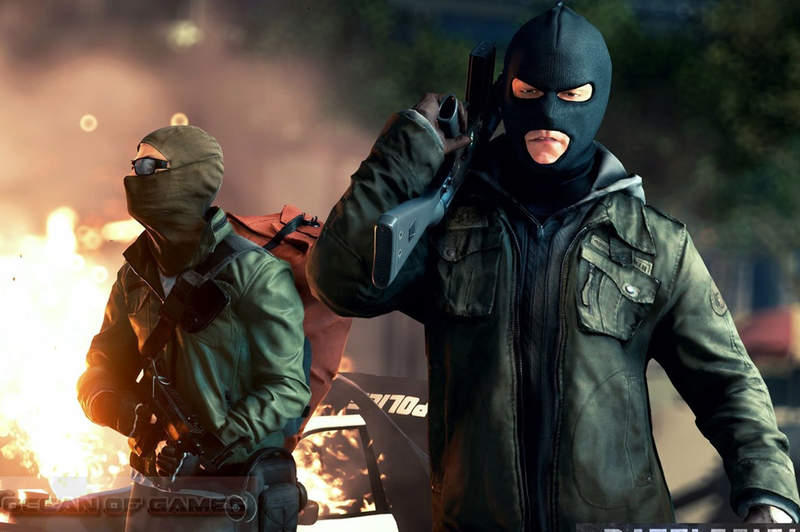 The main faction in Battlefield Hardline PC Game are the Special Response Unit of Police and the street criminals. Lots of new weaponry has been introduced in this game. 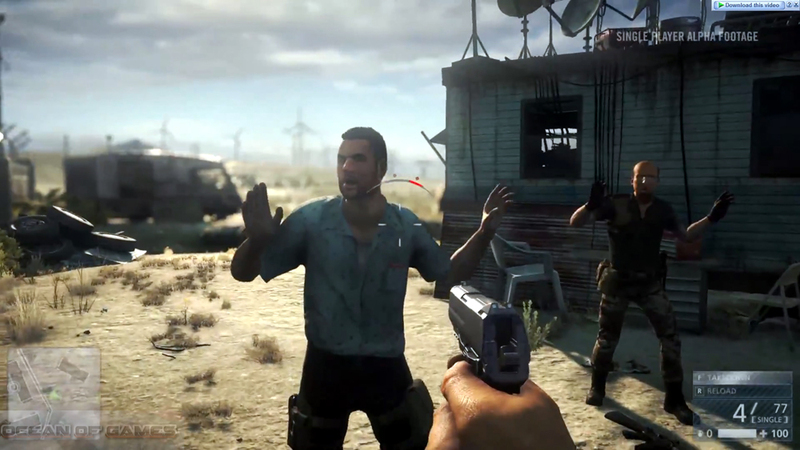 Various military grade vehicles and weapons have been included in this game. 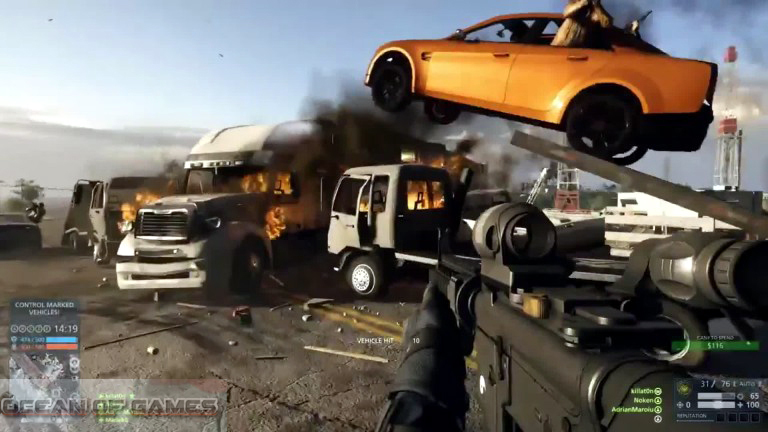 There are lots of new gaming modes introduced in this game. These modes includes Heist, Blood Money, Crosshair, Rescue and Hotwire mode . In the Heist mode the criminals has to break into cash vaults and the police needs to stop them. While in the Blood Money mode both the parties need to move the money from a crate in the middle of the map. In the Crosshair mode there is a battle between criminals and the police for 3 minutes. 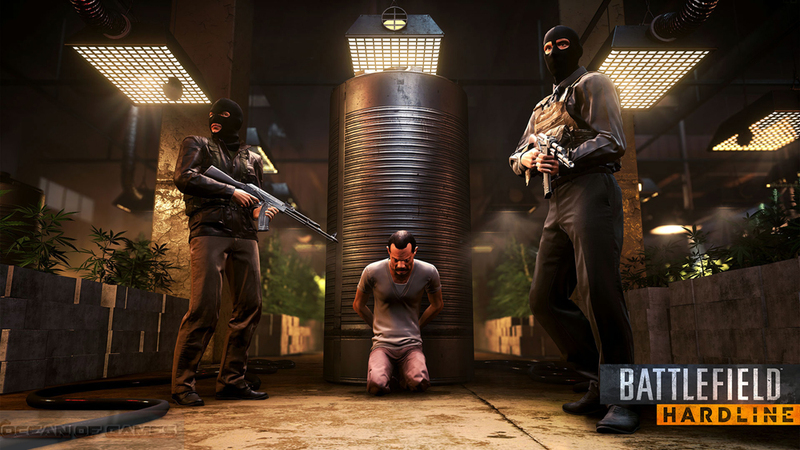 The Rescue mode is also 3 minute mode with 5 menof SWAT must fight with 5 criminals to rescue the hostages. You may also like to download Battlefield 3 . Impressive1 st . Person Shooter game. This entry was posted by OceanOfGames on February 6, 2017 at 4:05 pm, and is filed under Action, Adventure, Shooting Games. Follow any responses to this post through RSS 2.0. You can leave a response or trackback from your own site.